First announced in autumn 1910, the Knickerbocker Theatre was called “one of the best little playhouses in the state.” Since entrepreneur Tieman Slagh first constructed the edifice on Eighth Street more than 100 years ago, this “beautiful playhouse” has exhibited all varieties of entertainment, from Navy Secretary Franklin Delano Roosevelt to a seven-ton elephant. Although the historic theatre has faced financial struggles and changes in ownership nine times, the Knickerbocker Theatre remains on Eighth Street to this day, now under the ownership of Hope College. On February 25, 1911, while adorning the Knickerbocker’s sign with decorative lights for opening night, a chain on the scaffolding parted, and Slagh fell 28 feet to the cement sidewalk below. On March 2, 1911, the Holland City News reported an “almost immediate death.” Slagh’s funeral, held at Third Reformed Church in Holland, was described as “one of the largest that has been held in Holland for years.” For months after the burial ceremony, the Knickerbocker’s windows remained dark. In August of 1911, more than five months after Slagh’s death, the Knickerbocker Theatre was “leased for a period of two years to Charles Agnew and John C. New of Evanston, Illinois,” according to The Holland City News. The first production in the reopened theatre, Brewer’s Millions, premiered on November 3, 1911. 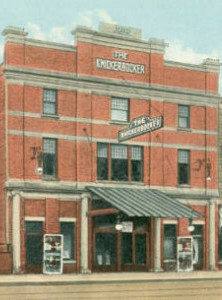 Although the show was a success, the Knickerbocker suffered from financial troubles for nearly four years before a new owner purchased the theater in 1915. Mr. A. Berlin, a resident of Holland who originally hailed from New York state, was “prepared to experiment,” and “ready to put his best efforts into giving Holland a theatre.” However, just a year later, Berlin sold the theatre. 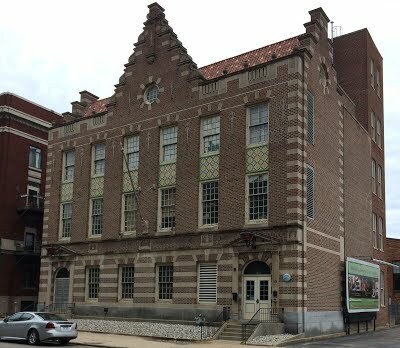 According to the July 20, 1916 edition of the Holland City News, the Knickerbocker was sold at a public auction to Frank A. Ogden who later refitted and remodeled the facility. The business floundered and was eventually acquired by advertising magnate Jon Vanden Berg Jr., better known to the theater-going public as “Vaudie.” Vanden Berg’s expensive investments in the Knickerbocker promised an entertainment venue “second to none in Western Michigan.” Again, the venture fell short of projected goals and was repossessed in 1923. Later in 1923, businessmen Horace Morton and Harry Jones purchased the Knickerbocker Theatre. They premiered a special Christmas Eve showing of The Courtship of Miles Standish. A short time later, the owners went into bankruptcy. Initially, Phil Tanis managed the Knickerbocker Theatre. He assumed leadership for a short period of time and began the popular film series program still in existence. Erik Alberg succeeded Tanis. “I won’t say I pack them in here,” Alberg confessed to the Holland Sentinel. He added, “a core group of independent movie fans shows up regularly.” To this day, Hope College’s Knickerbocker Theatre continues to promote showings of film and stage productions. H06-1607.1. Knickerbocker Theatre. (1909-ongoing), Joint Archives of Holland, Hope College, Holland, MI.